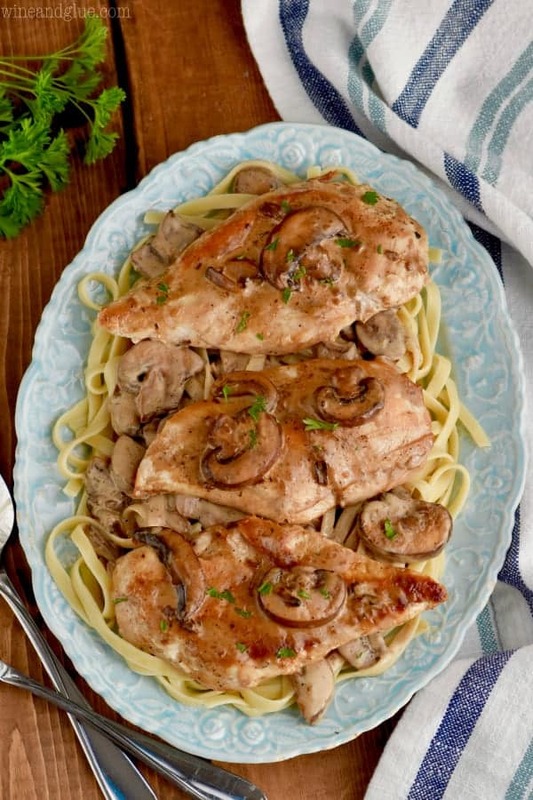 This Easy Chicken Marsala recipe is the best 30 minute meal. It is so creamy and served with pasta for the perfect dinner idea for tonight. 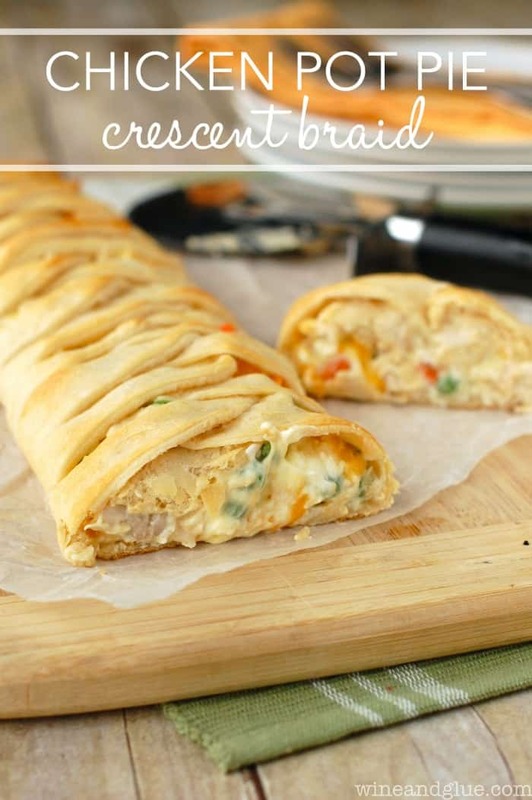 This is a great one pan chicken dinner! If you are looking for what to serve with chicken marsala, we put this over pasta and it was delicious. It would also be great next to this cheesy orzo, with this creamy tomato bisque, or with these easy potato wedges. Ah, the mantra of all food blogger husbands. 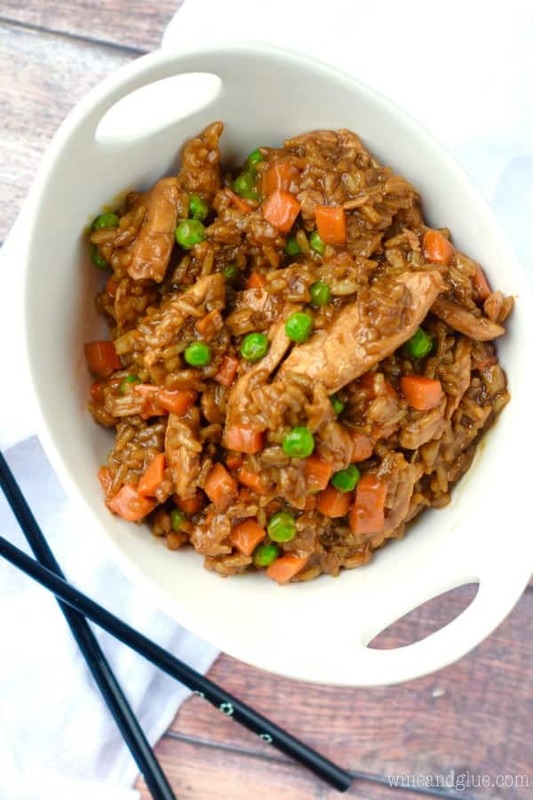 Don’t feel too bad for him, I made him round two the next night for dinner because I wanted to make sure this recipe was perfect for you I wanted him to get to try it hot. And we all loved it! 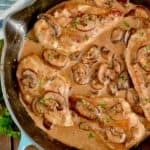 When I was thinking about what would make the absolute best chicken marsala recipe, I knew that it had to be fast, it had to be delicious, but most importantly for my life, it had to be easy! So, for me, that meant taking out the step of drudging the chicken in flour. Drudging chicken in flour is one of my least favorite things to do. I do it when absolutely necessary, like in this healthy baked chicken tenders recipe. But I avoid it whenever possible. And my friends, here it is possible. 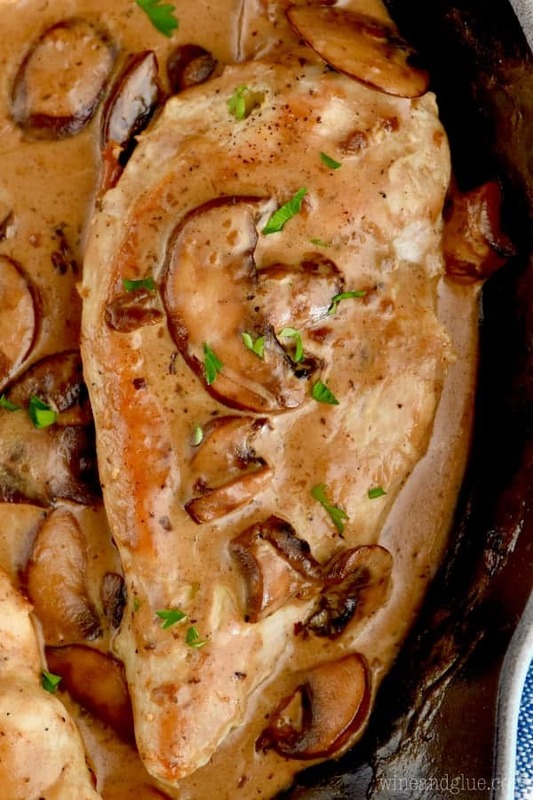 HOW DO YOU MAKE CHICKEN MARSALA? Typically chicken marsala is made, as I mentioned, by drudging chicken that you have pounded flat in flour, pan frying it, removing it from the pan, and then sautéing mushrooms with marsala wine before bringing them all back together. 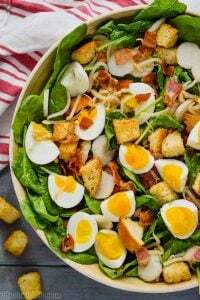 Some real go getters even add pancetta to the mix. When you add the chicken back to the pan, the flour that you coated it in helps to make the sauce nice and creamy. In this version, first we skip the pounding of the chicken. The thing I hate right after drudging chicken is pounding it. Instead, we cut the chicken breasts in half. Most one pound packs of chicken these days come with two very large breasts, so this works out perfectly. 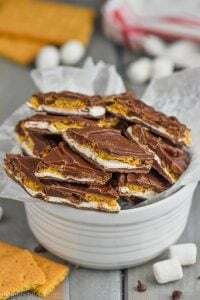 If you slice them in half and still have a thick section of chicken (more than about a quarter inch), you will want to pound that one section. After we pan fry the chicken, we remove it from the pan, add some butter, mushrooms, and garlic, and then we add in some flour. Then we whisk in some chicken stock and marsala wine. Let it come to a simmer and thicken. Finally, add some heavy cream, return the chicken to the pan. It is all done in just under 30 minutes, making this the perfect dinner for a busy weeknight. 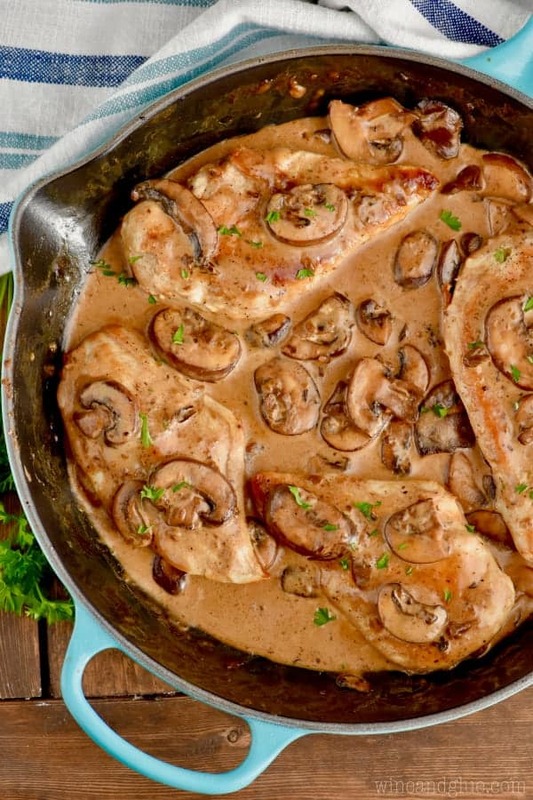 WHAT MAKES THIS CHICKEN MARSALA RECIPE SO EASY? You don’t have to pound the chicken thin, you just cut it in half to make it thin. There’s no need to drudge the chicken in flour, you add a little flour to the sauce and thickens things up nicely. Everything comes together in one skillet. Everything comes together in about thirty minutes. WHAT CAN YOU SERVE WITH CHICKEN MARSALA? When I was thinking of what to serve with chicken marsala, all I could think about was pasta. So I made some thick fettuccine noodles and served the chicken marsala on that. 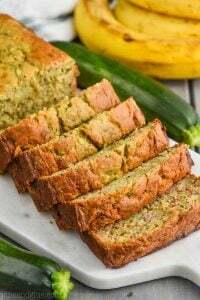 But this would certainly be good with rice, or just a nice big plate of vegetables, like broccoli and asparagus. If you are looking for more great chicken dinners that come together in one skillet, make sure you try this 30 Minute Skillet Chicken Pot Pie. 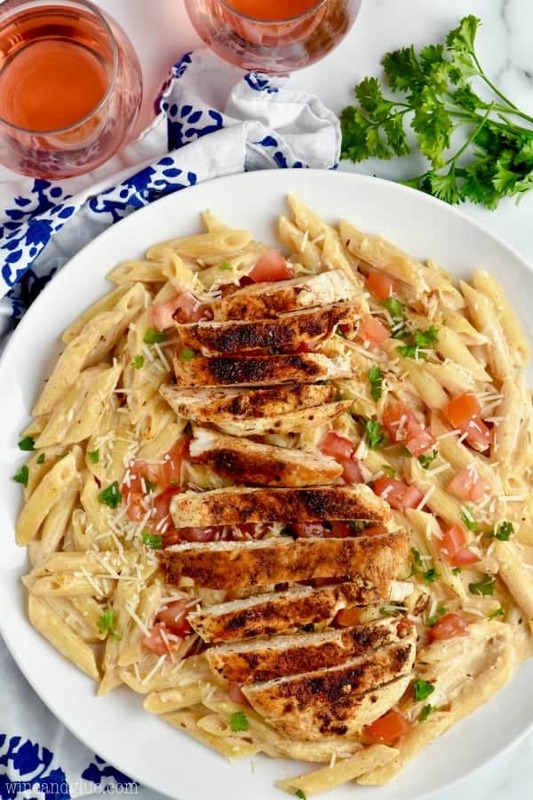 I am loving this Caprese Chicken Skillet! 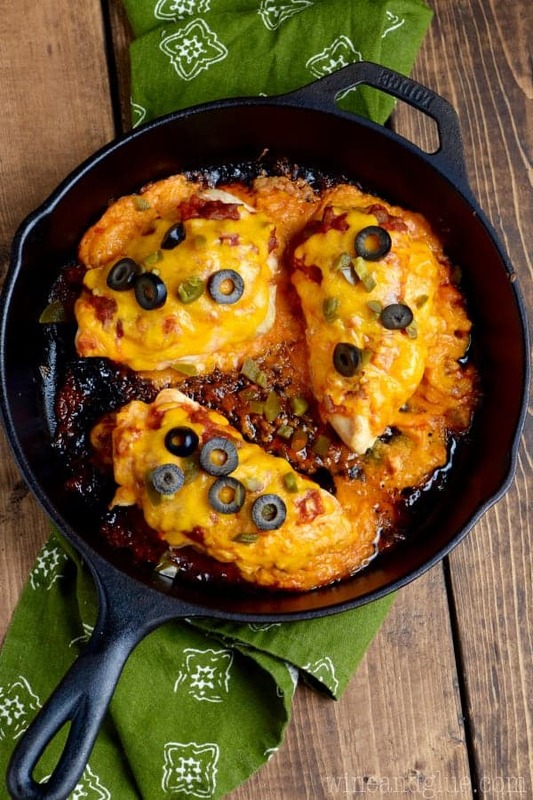 I am drooling over this One Pan Sour Cream Enchilada Skillet! 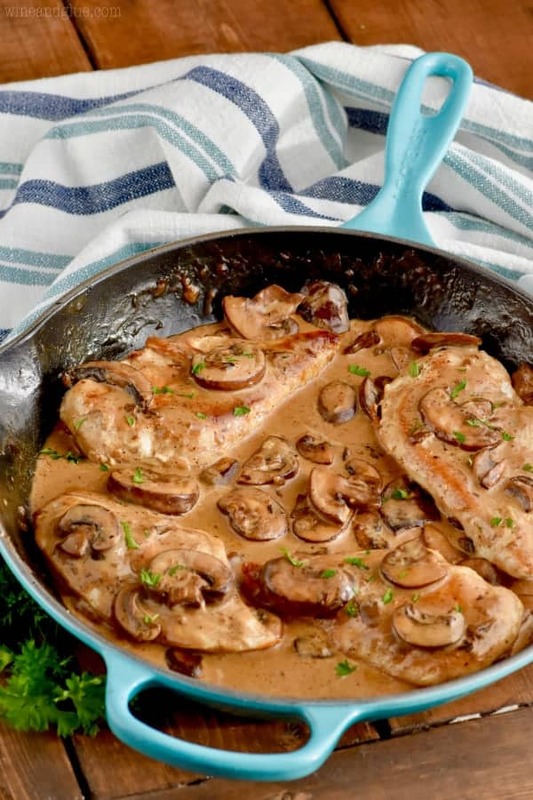 This Easy Chicken Marsala recipe is the best 30 minute meal. It is so creamy and served with pasta for the perfect dinner idea for tonight. Cook the fettuccine according to package instructions. While the fettuccine is cooking, slice the chicken breasts in half. If there are parts of the chicken that remain thick (about more than a 1/4 inch), pound them thin. Season the chicken with salt and pepper on both sides. In a larget skillet, heat 2 tablespoons of extra virgin olive oil over medium heat. Add the sliced chicken to the pan and cook for about four minutes on each side or until a meat thermometer reads 165 degrees. Remove the chicken from the pan and cover loosely with tin foil. Add the butter to the skillet and melt. Add in the mushrooms and the garlic. Cook until the mushrooms are soft, about four minutes. Stir in the flour. Slowly pour in the chicken stock, whisking to combine. 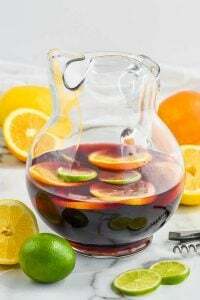 Pour in the Marsala wine. Bring to a simmer and cook until the sauce thickens, about four minutes. Stir in the heavy cream. Return the chicken to the pan. Spoon the sauce and mushrooms over the chicken and serve over the fettuccine. If your skillet is not big enough to cook all the chicken at once, you may need to do it in two batches. In that case, you may need to add more oil (about a tablespoon) between the first and second batch. The nutritional information for this recipe are for the recipe without the noodles. Ahhh….eating cold food a few or many hours after it’s been photographed. That is the mantra of all food blogging households I thik LOL. This looks delish, glad you shortcut the flouring and pounding steps. Those mushrooms…I want!